Crystal Design template features flex slider and animated page transitions. Content sections can be edited easily as needed. Pricing tables are included. 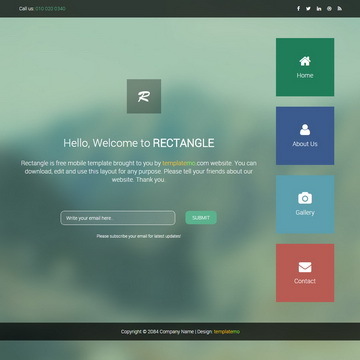 Rectangle is a Bootstrap v3.3.1 mobile layout with vertical sliding pages using lightgreen background. 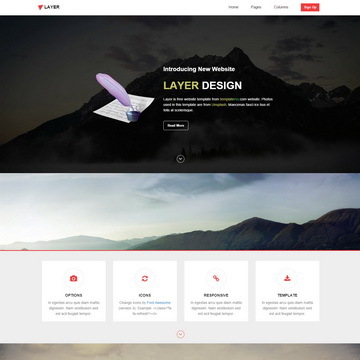 Layer is a parallax template with vertical scrolling animated contents. Bootstrap column options and sidebar layouts are included. 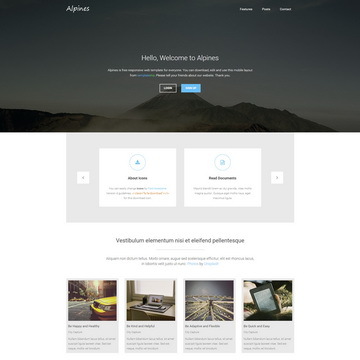 Alpines HTML Theme features a content slider and simply effective mobile layout by Bootstrap v3.3.1 framework. 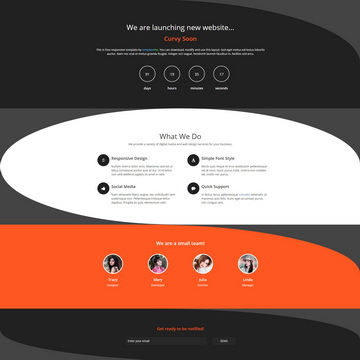 Curvy Soon is a responsive coming soon page with a countdown timer for days, hours, minutes and seconds. Crystal Template is licensed under Creative Commons. Permissions beyond the scope of this license is available here. You are allowed to download, edit and use this Crystal HTML CSS layout for your commercial or non-commercial sites. Please share Crystal Template to your friends. Thank you.